A new look LeBron XI Low is now available for the young LeBron fans. The recently introduced LeBron XI features a full Hyperfuse build and 360 Max Air cushioning for the perfect casual look. This all new grade school colorway sports a combo somewhat reminiscent of the 'Entourage' LeBron 8 V/2, covered in dark grey, photo blue and tour yellow. 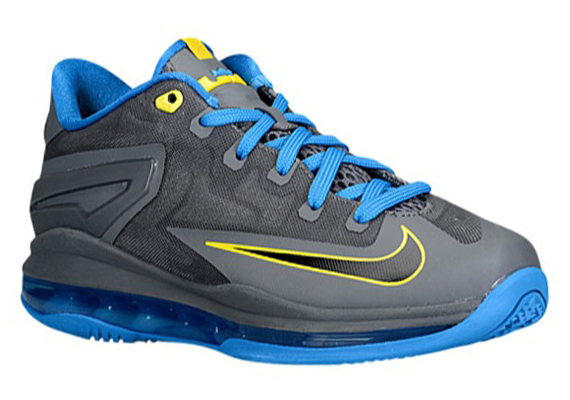 The Dark Grey/Photo Blue-Tour Yellow Nike LeBron XI Low is now available online via Champs.